August 1, 2001  Known as "Mr. 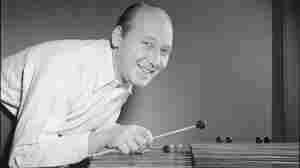 Swing," Red Norvo became a jazz star while playing an unconventional instrument –- the jazz xylophone. He later switched to vibraphone, and recorded with such legends as Benny Goodman and Dizzy Gillespie. On The Savoy Sessions, Norvo teams with bassist Charles Mingus and guitarist Tal Farlow.